This fun Rainbow Sprinkle Slime came out perfect! Learn How to Make Black Slime with this easy slime recipe. 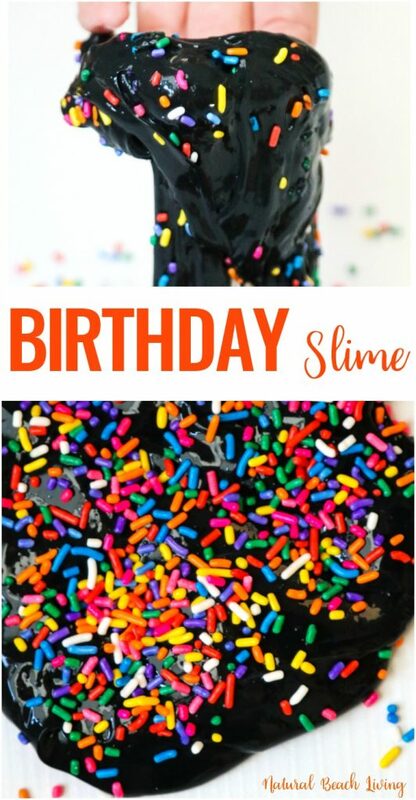 Then you can serve this homemade slime up for a birthday party, use purple and blue sprinkles for a galaxy slime theme, or keep it all black for spooky Halloween idea. 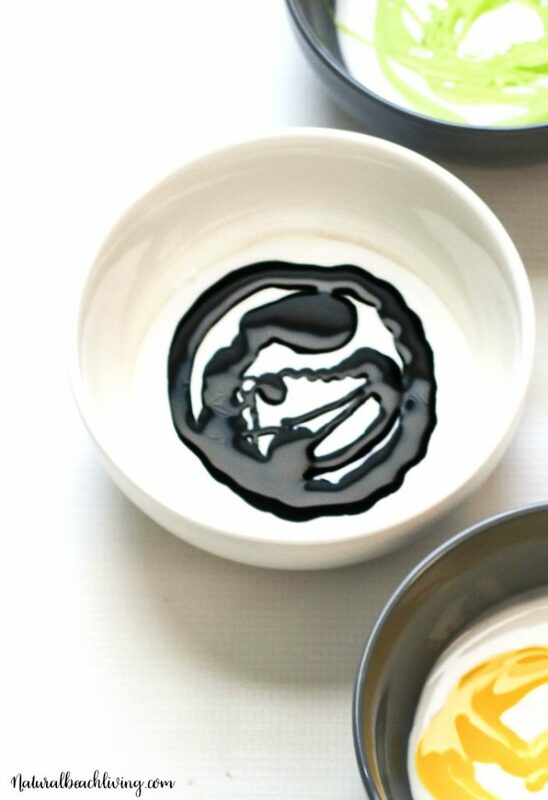 To make this basic black slime recipe all you need is 4 ingredients. You’ll have a black super jiggly slime recipe everyone will want to play with. I want to start by saying you’ll thank me for how easy this DIY rainbow slime recipe is. In fact, as daunting as making black slime might seem it’s really easy to make and only takes a couple of ingredients. 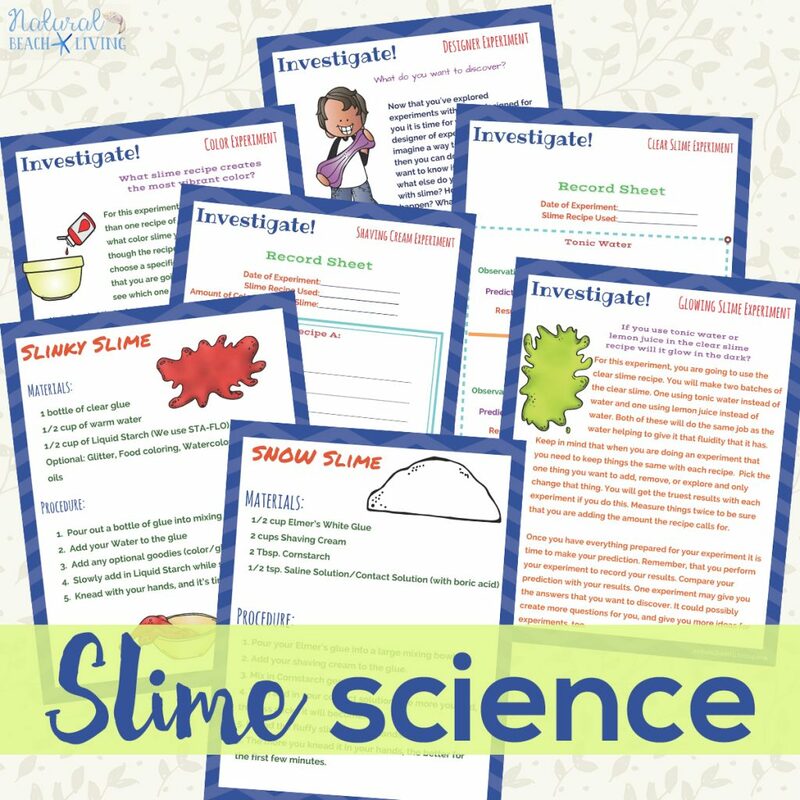 This slime recipe is NOT an edible slime. Even though the sprinkles might look yummy, you don’t want to eat this. 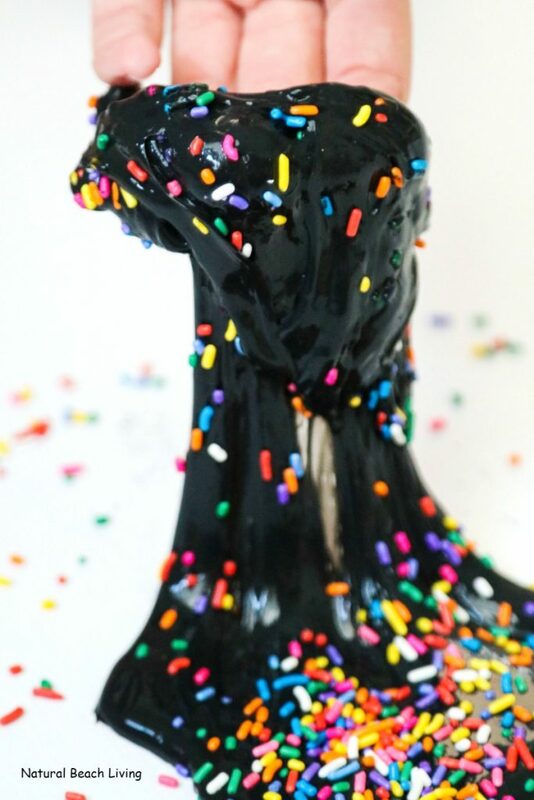 Let your kids know this black slime is more of a science experiment with a bunch of rainbow sprinkles added in for fun. Liquid starch – Sta-Flo can be found in the laundry aisle of at your local store, or you can order it online. 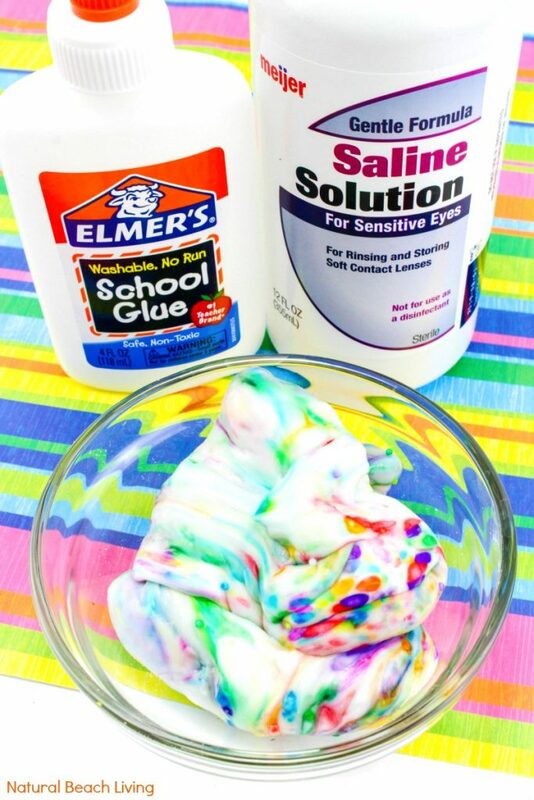 Rainbow sprinkles – You can use any shape, size or even color sprinkles for this homemade slime. 1. 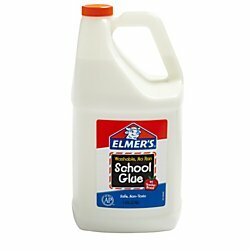 In a large mixing bowl, combine 1 cup Elmer’s White Glue with 1/2 cup of warm water and mix well. 2. 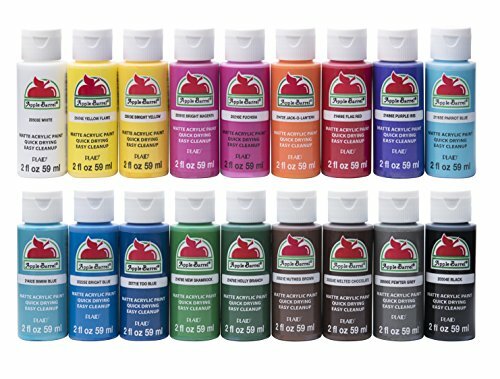 Add a squirt of black acrylic paint to your glue and mix until evenly combined. 3. Mix a 1/2 cup of Sta-Flow (liquid starch) into your glue mixture. 4. Ingredients should start coming together quickly to form slime. 5. Remove the slime from the bowl and knead it in your hands for a couple of minutes. You should store your slime recipes in an airtight container. Doing this will make your slime last longer and allows your children to use it every day. 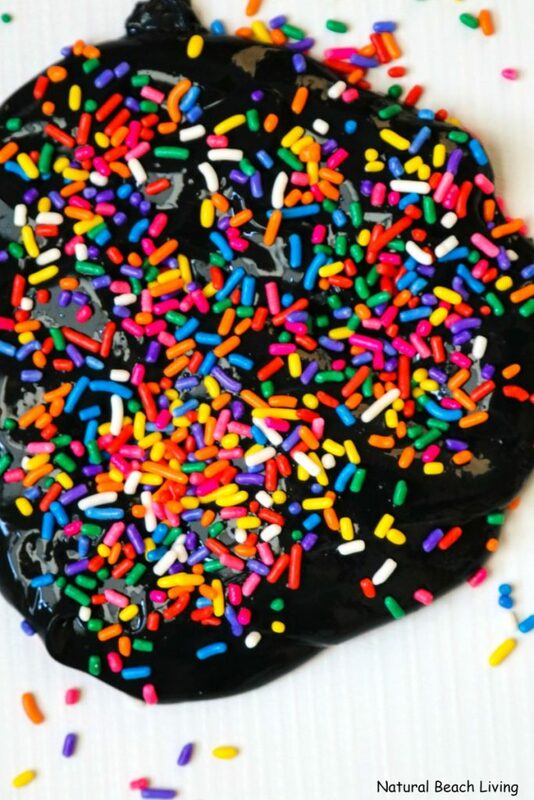 The Rainbow colored sprinkles look amazing on the jet black slime. 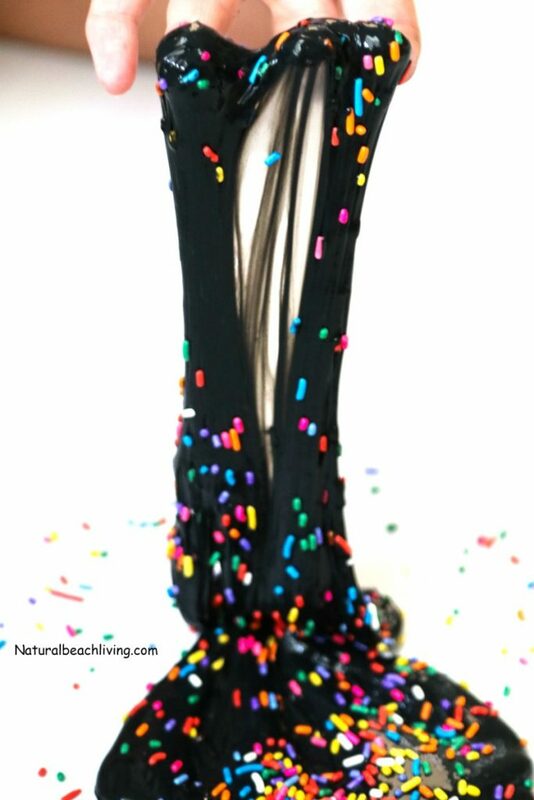 If you prefer a white Rainbow Birthday Slime Recipe Click Here. 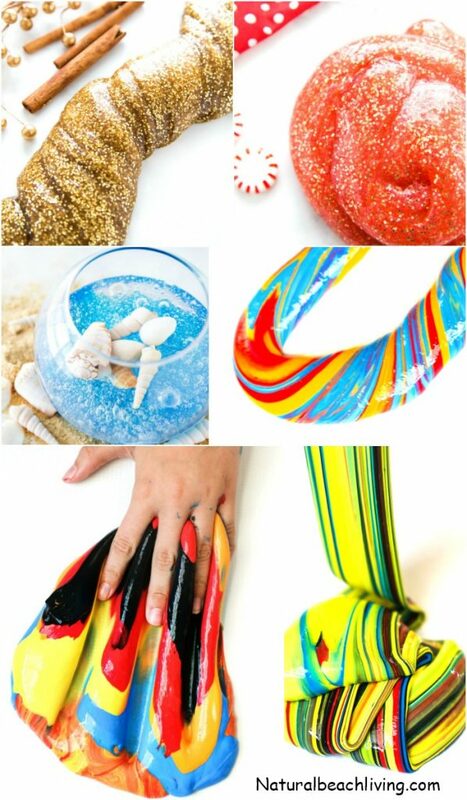 If you love the idea of making Slime but want to try different Slime Ingredients, and Slime Recipes Click Here for over 30 other Jiggly Slime Recipes.